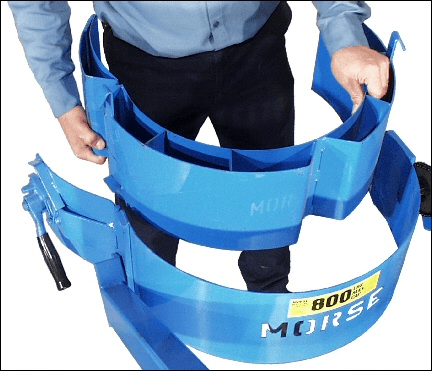 Diameter Adaptors allow you to use your Morse drum handler with various smaller drums. 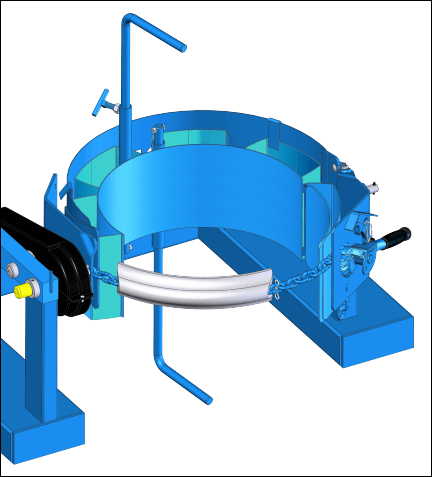 Select the correct diameter adaptor for each size drum. 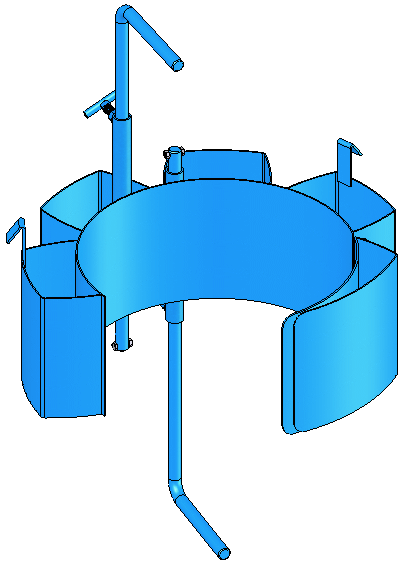 handler for various size drums. 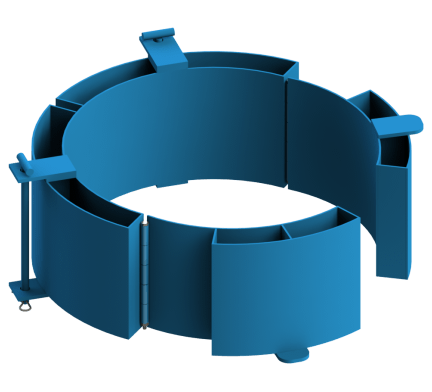 Order the correct size Diameter Adaptor for each drum size. between the ribs. 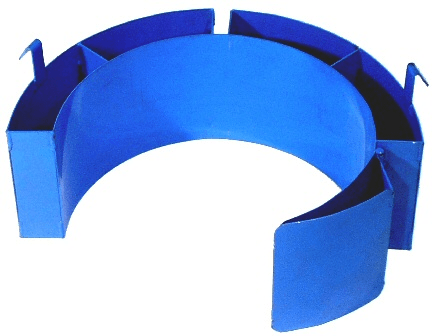 It fits only a 3-piece drum holder or a drum holder with load binders. These Diameter Adaptors are designed to securely hold a Rubbermaid Brute container. The integrated top brackets prevent an inverted Rubbermaid Brute from slipping out of the drum holder. 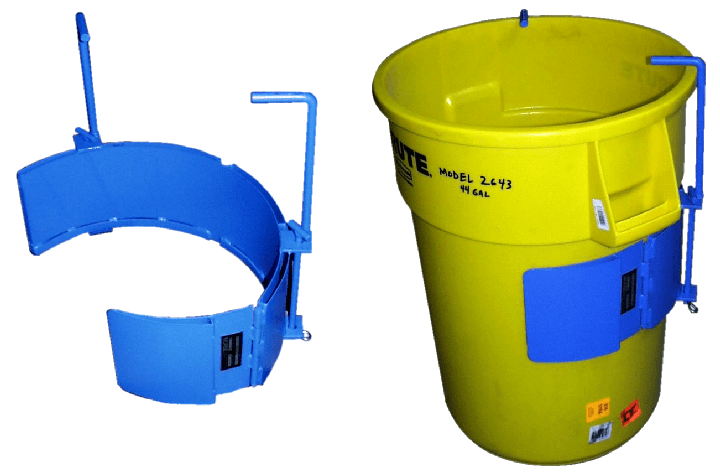 Choose the correct size adaptor for your container. Models are available for 3 different sizes of Rubbermaid Brute. Copyright 1998-2018 - Morse Mfg. Co., Inc. All rights reserved. "The Specialist In Drum Handling Equipment"